Congratulations to Caleb Grace who has been selected to swim in the 2019 Special Olympics World Games! 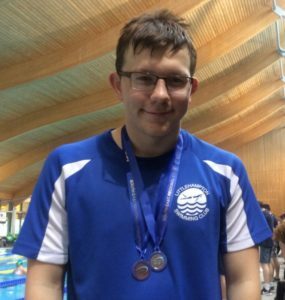 Caleb, now 19 and an S14 classified swimmer, is hugely excited to have been selected. These are being held in March 2019 in Abu Dhabi and involves 24 different sports competing over 7 days. Caleb will have to attend a weeks training camp there beforehand to acclimatise to the heat and time zone. Fantastic Caleb!